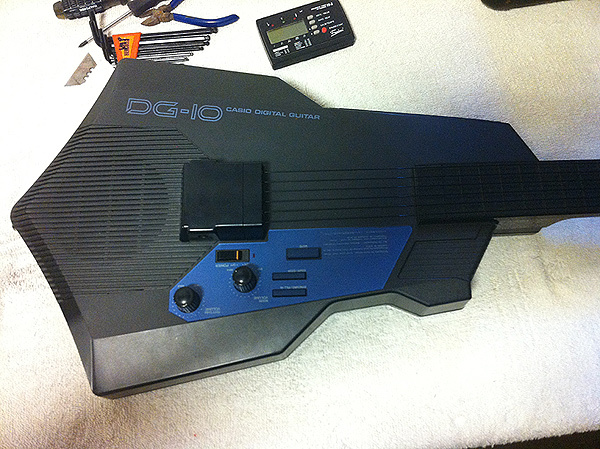 Back in 1983 EVERYBODY wanted a CASIO DG-10 guitar synthesizer. This has nylon strings which fire corresponding data to an onboard computer, which in turn plays the sounds of whichever instrument you’ve selected! Naturally the sounds are not mind-blowingly awesome but some are actually pretty usable. 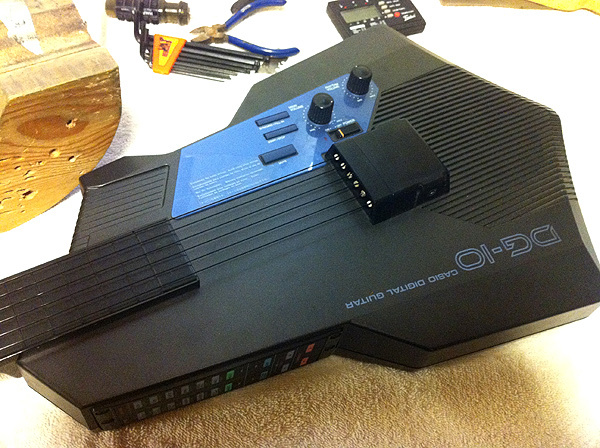 You can either play the DG-10 as a standalone guitar via its built-in speakers or for better quality sound you can plug it into your stereo. Add to this the fact that it has a built in Casio drum machine (with independent volume controls) and you have a veritable one man band. 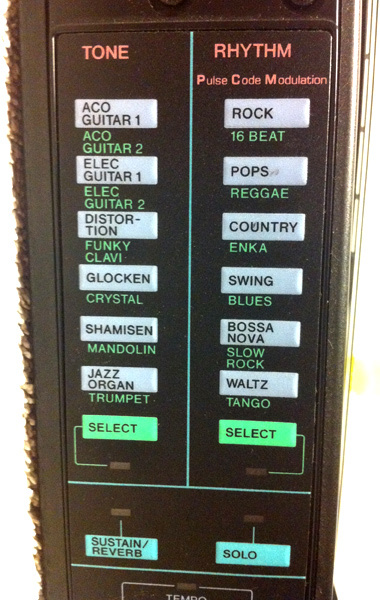 This crazy piece of 80’s musical gadgetry features in an episode of The Flight of the Conchords! Around 25 years after it was released by Casio. The Conchords say that they bought their Casio synth from a pawn shop in the future. 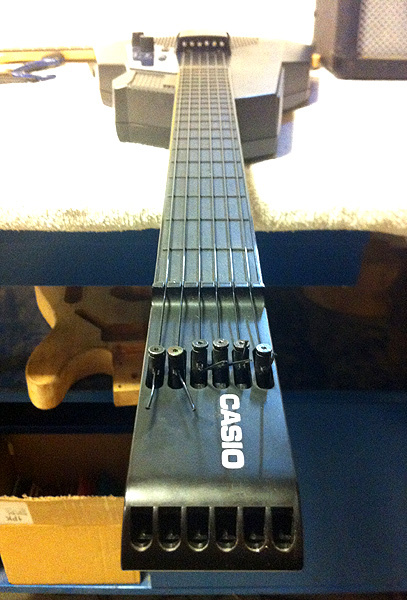 This model has been fully set-up with all nylon strings having been tensioned correctly. 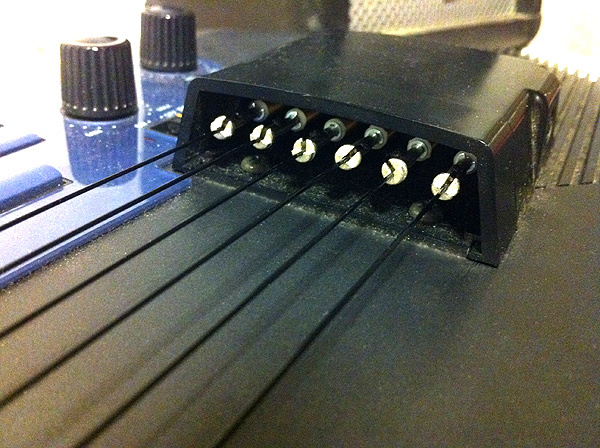 Careful when tensioning the strings as the tuning machine heads can snap.